Here at Reeds Rains Estate Agents Gosforth, we are immensely proud of our office suite with a dedicated Lettings Centre . We are situated next to Gosforth Academy, a short walk from Regent Centre Metro Station and offer our customers free on site parking. Looking to sell or let your property in Gosforth? Looking to buy or rent in Gosforth? Overall a most outstanding example of efficiency tempered with the most user friendly and assuring front line. My move was made so much less stressful having people to answer immediately and alleviate concerns.. I would recommend them without hesitation to anyone moving home. Very friendly and professional service from everyone @ Reed Rains dealing with the sale of the property. Communications were promptly delivered and they were proactive in progressing the sale. I would have no hesitation using their services again. Reeds Rains in Gosforth handled the sale of our property very well, their customer service is excellent. From the start when Phil valued the property through to the completion of the sale, the whole process was handled professionally. Any enquiries were dealt with promptly by Danielle and Alan. If I have any other property to sell in the future I would use Reeds Rains again. Gosforth is a suburb of Newcastle upon Tyne, situated to the north of the city. Modern day Gosforth dates back to 1826 as a settlement known for several decades as Bulman Village. Apart from South Gosforth, many residential districts of Gosforth are suffixed "Park". There is Bridge Park, Brunton Park, Gosforth Park (including Newcastle Racecourse), Grange Park, Greystoke Park, Grove Park, Melton Park, Newcastle Great Park and Whitebridge Park. East of the Great North Road, Garden Village was developed on 'garden suburb' lines in the 1920s to house workers at the nearby LNER electric train depot (now the Metro depot). 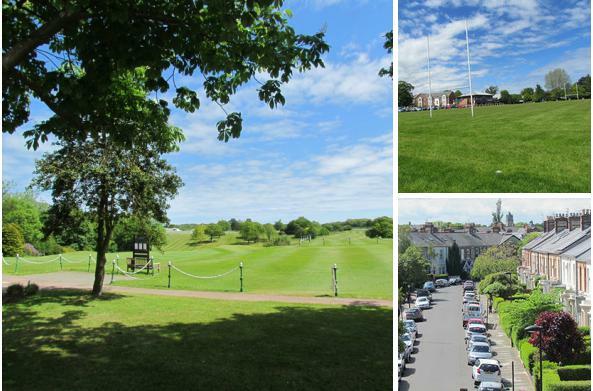 One of the newest expansions of Newcastle is the Great Park to the north of Gosforth. Other popular areas are Kingston Park served by two Metro stations and well situated for the Airport and A1.